(Newser) – The Pentagon has informed the former Navy SEAL who wrote a book about the Osama bin Laden raid that he might face legal action. The top Defense Department lawyer wrote in a letter transmitted to author Mark Bissonnette that Bissonnette had signed two nondisclosure agreements with the Navy in 2007 that obliged him to "never divulge" classified information. 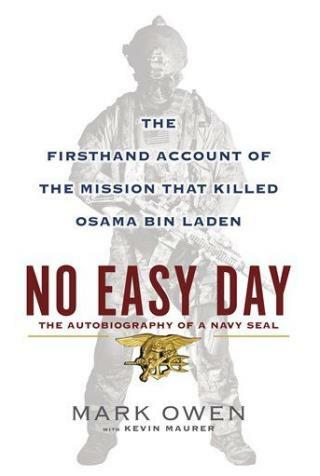 Lawyer Jeh Johnson said that after reviewing a copy of the book, No Easy Day, the Pentagon concluded that the author is in "material breach and violation" of the agreements. Another patriot taken out by the Gulag. Obama and his minions will pay for messing with us. So will you fake vets for supporting this, you are a racist if you support this - anything even murder to protect your messiah Barry, right? Strange that I didn't see anything in the article or in the comments here about the fact that his book contained lies, and just yesterday many were castigating him for lying in his book and putting the President in a bad light. In fact if the Pentagon is willing to legally take him to task for his disclosure of sensitive materials, it seems to validate his side of the story. Good. Prosecute this disloyal arrogant prick.